This is Rail Training. 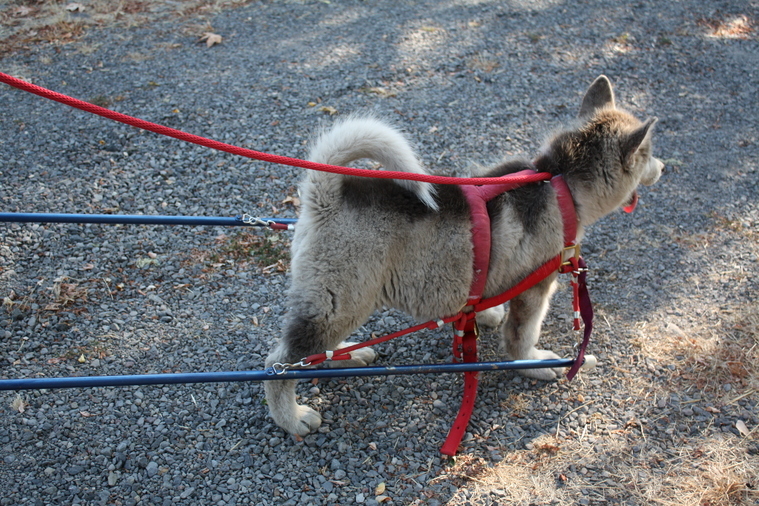 The Rail is a device we designed and built to train Young dogs and untrained Dogs, to get them used to the Rigid Rails of the Cart. Also for Turning and Pulling. It can be used to teach them Sounds and Commands as well. 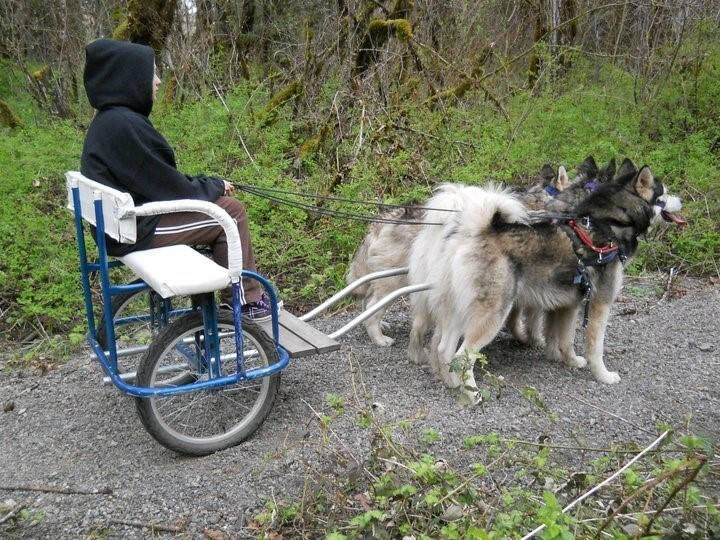 It helps to teach them how to turn the Cart, on a tight Trail turn around. Work them in short sessons do NOT push a Puppy to work hard. Allow your Puppy to show you his Abilities and work at a pace he is comfortable with. All Puppies are different ,and not one Puppy will be just like another. Like People, Puppies Learn at their own Pace and what one might do better, another might Not. He will spend weeks working with me Ground work and working on the rail and small cart to hear sounds and Feel things he will need to know to make things happen with the driving carts. 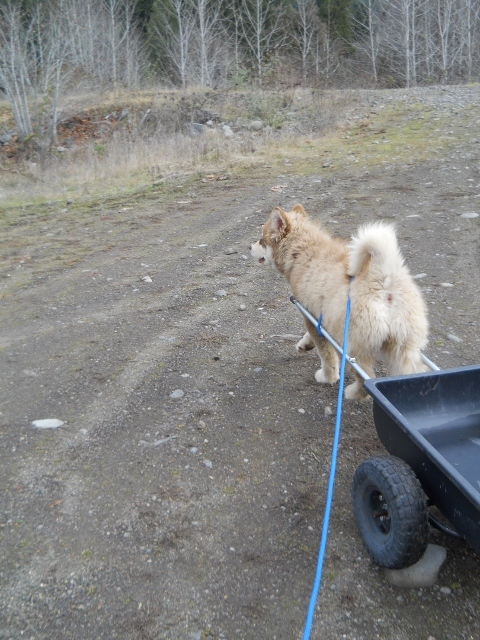 By the time one of my Puppies sees the driving carts he has had 4 full months of Ground work and Rail work, to learn to Turn, Center and STOP with a Cart. 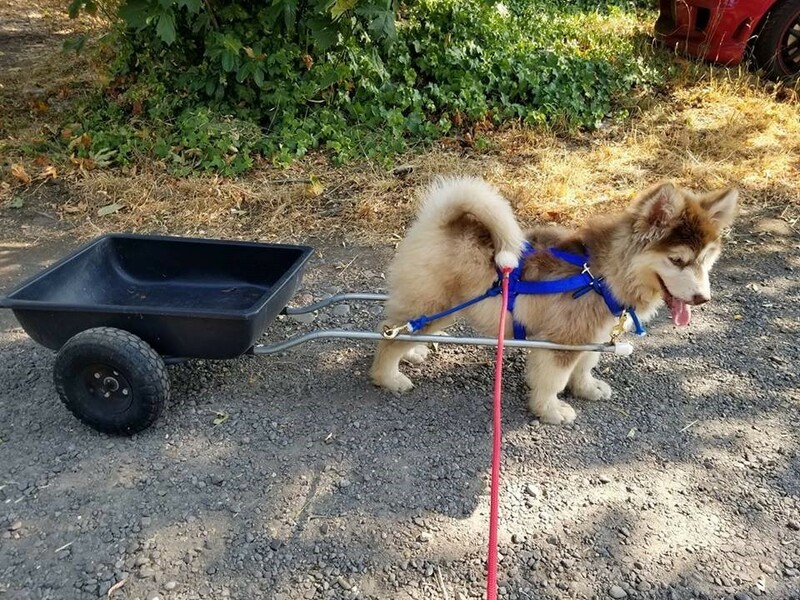 This will give you an edge and the Puppy will think of the Cart as a way to see the world and get out with you in the outdoors. 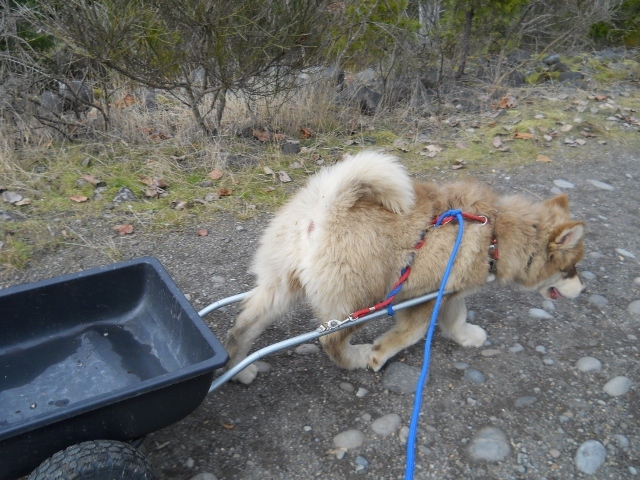 Carting with Puppies is very rewarding and will give your Puppy a sence of who his is early on. TAKE YOUR TIME and just let him show you what he is Made of. Remember there is always tomorrow to teach something he might not have gotten today. Just love every minute you spend teaching him, because it will come back in his Abilities as he learns. ALWAYS Watch to make sure he is not uncomfortable and not hurting himself in ANYWAY... YOU ARE THE DRIVER and He is your Responsibility and you need to make sure he stays safe at all times. NEVER WORK a Young Dog in High Heat or in a stressful Environment, as he is not learning that way, and what you might be trying to get across to him in your mind, doesn't come out the way you are intending it to, then he is not having any fun and you are stressed. Take it SLOW and enjoy the training with him, he will get it and like anything else you teach your Puppy to do when he sees he has done what you asked of him.. Make a Huge deal of his Advancement... GOOD BOY That's such a GOOD Boy... Show him he did a good job and he will do it again just to hear you tell him how good he is. Take the time to make your training sessons Positive and Enjoyable. Some puppies will take allot more to train then others ( Ones we call Naturals, are easy and they Love to show you who they are) early. When training a Puppy always keep in mind, it is better to train them right the first time, then to have to Retrain a bad Habit. I have learned this over the years and it is much easier to show him the right way, then to be lazy and have to reteach.!!! I can not tell you that enough. Puppies learn things well when you are Confident and not pushing them. I use a Method that works to keep their Attention. Say the Puppies Name when Addressing your Commands. Speak the Command to him clearly... GEE.. One of my dogs names is Cooper... Example.. Coop GEE.. (right turn) If he doesn't respond to my Command... I ask myself why..? Did he not hear me because of something that was too loud, or was he just not listening to me..? If he didn't hear you speak the command again, then if he doesn't hear you...it was your Fault for not getting the command to him. If he was ignoring you.. Then again it was your Fault, because you didn't get his attention before you asked him to do the command. If you have his Attention when you ask him to do something, he will look at you and wait for the command. If he isn't , then he is focused on something else and you need to get his focus on you ,before you ask him to do the command. This will insure that he heard what you wanted before he makes the change in progress. I have learned that when you are training things can and do go wrong. You can be out minding your own Business and a Lose or stray dog can come flying up to you out of no-where and then you have to make the decision to keep you puppy safe from harm and also show him that he doesn't need to feel threated by everyone who might come running up to him for a sniff. If you train your Puppy to allow the sniff and you watch to see what the body Language of the intruder is (always watch for aggression) and take this Part very Serious with a young dog, as if he learns young to take others as a treat, you will have to worry about him wanting to have to show others he is BIGGER.. Not Fun to re-teach. He is your Responsibility and he will rely on you for his safety. I hope this gives you some help when starting a young puppy out on ground rules and Early commands. I will be adding to this as time goes by.. and this is not Advise, it is just what works for me... 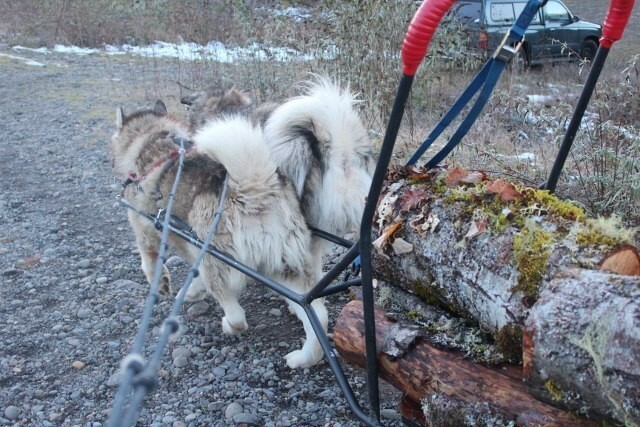 I am not an Expert in dog behavior, but I know dogs and these things have helped me to train Carting dogs for 35 years. Puppies are Fast learners and they Look up to thier Owner/ Handlers for everything. Safety, Food, Happiness, and most of all LOVE. They will Love you and work for you with Joy if you Love them and Spend the time to teach the lessons correctly the first time.